We get a lot of request for parts that we don’t carry – unfortunately, parts for some less popular pieces just don’t have enough volume to justify a production run complete with customer part molds. One of the most of-requested parts is the trigger for the 3-quart Revere Ware tea kettle. We’ve talked about 3D-printing them, but unfortunately materials aren’t quite to the point yet where they can handle the high temperatures that cookware require. 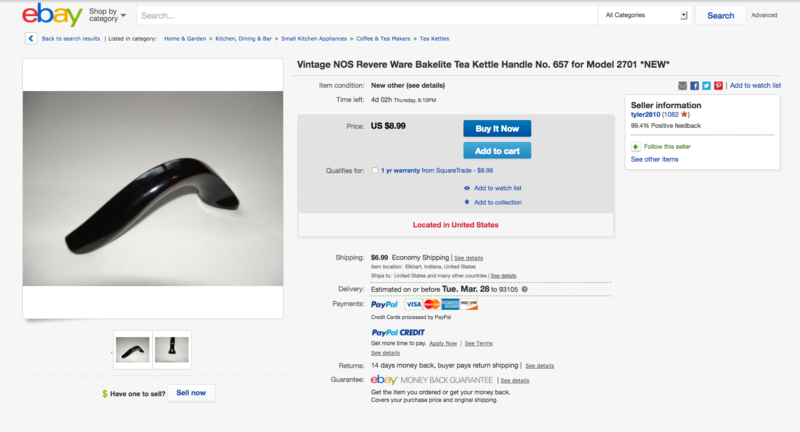 For the determined and dilligent, let me introduce you to a new concept – new old stock, which is often shortened in product listings to NOS. New old stock stands for an item that is no longer in production, but someone found a cache of them somewhere that are still brand new. For the tea kettle example, here is a small cache of the (get them while you can, they will go quick), at an incredibly reasonable price. Over the years, we’ve seen just about every part we’ve needed eventually show up on eBay, and this is how we got most of the samples we’ve used for our production runs. Here is another part people often ask us about, the percolator and coffee pot handle. 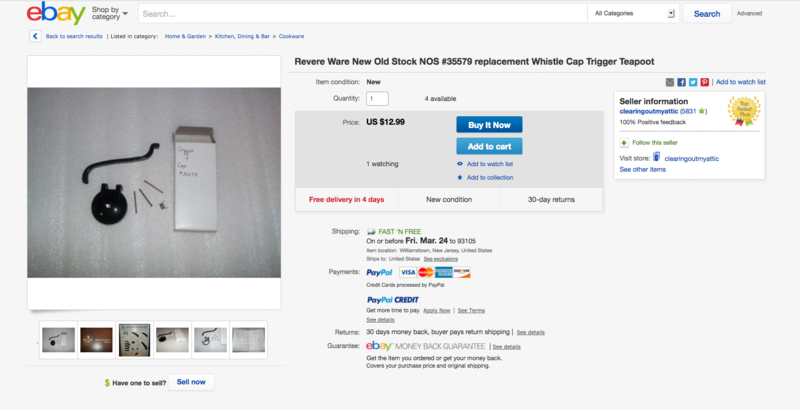 If you are looking for a replacement part, search for it on eBay. If you don’t find it, try saving the search via the follow this search link in the top of the search results, so that when new matches occur, you’ll get an email. 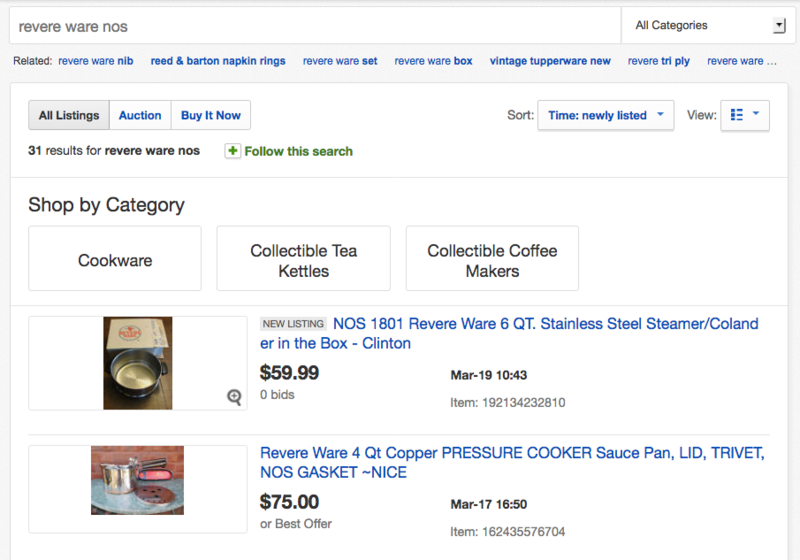 The search above, for “Revere Ware NOS” is a good place to start if you are looking for replacement parts that we don’t carry. I’m looking forward to 3D getting a little better! Sarah, we did recently find a material that works. See this post.